Chesapeake AED Services is always looking for qualified professionals to join our team of certified trainers and skilled sales professionals. 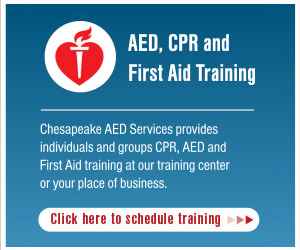 Chesapeake AED Services offers competitive compensation and benefits packages. For current openings or to submit your resume for consideration, please call 410-238-2242 or email us at info@chesapeakeaedservices.com. You may also use the form below to apply. Currently, Chesapeake AED Services is searching for talented administrative professionals to join our team. Please fill out the form below to learn more!